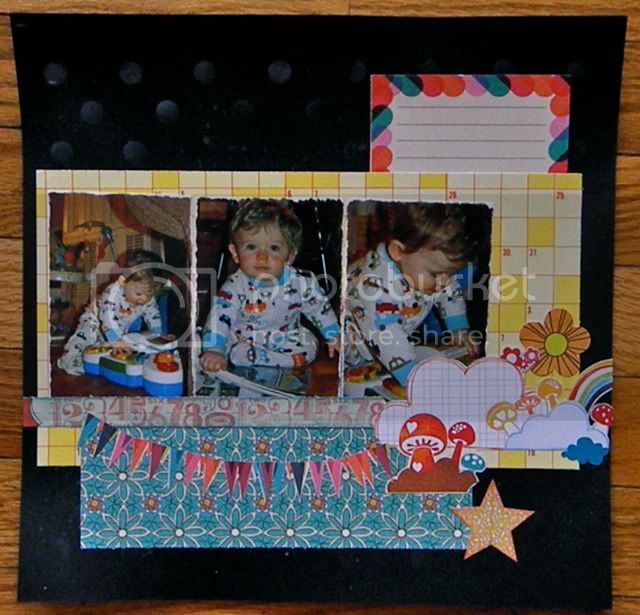 diary of a former scrapbook store owner: Teaching classes - Challenges and joys. Teaching classes - Challenges and joys. Class last night was just fun. Had another new student, and she was so excited. I love those moments, when you see the delight in their faces as their pages unfold... So cool. It's what makes this business worth doing. Helping people make their pages - it's just a great feeling. We did masking and Shimmerz in white on black. (I told you I was into Shimmerz these days...) I found the idea on the Shimmerz Blog and did a whole class around it. I showed everyone how to make their own mask using cardstock on the Cricut (Use the Plantin schoolbook cart circle set at 3/4 inch, with 6 spaces in between each circle. ). Even if I was able to still get the discontinued circle masks, for each student to have their own would have added $3 per person. Using the cardstock cost about .04 cents per person. It's a challenge to keep that cost down, but important to me. I want everyone to be able to afford to come, especially in this economy. We even shared the shimmerz amongst the whole class. I stocked the 1 oz bottles for those that wanted to purchase as I am confident they will sell on their own. But no need to jack up class costs un-necessarily, right?! Challenging...that's a great way to sum up what class can be. One of the biggest challenges is finding pages that are gender neutral enough to appeal to "boy mommies" and "girl mommies". Then their are of course, the grandmoms, the singles...It's a hard job, but one I enjoy. I've been teaching classes now for close to 5 years and still love coming up with new ideas to teach.And like I said, it's those moments with student when the walk out happy with completed pages that make the challenges worth it. I love the idea I came up for for one of June's classes. 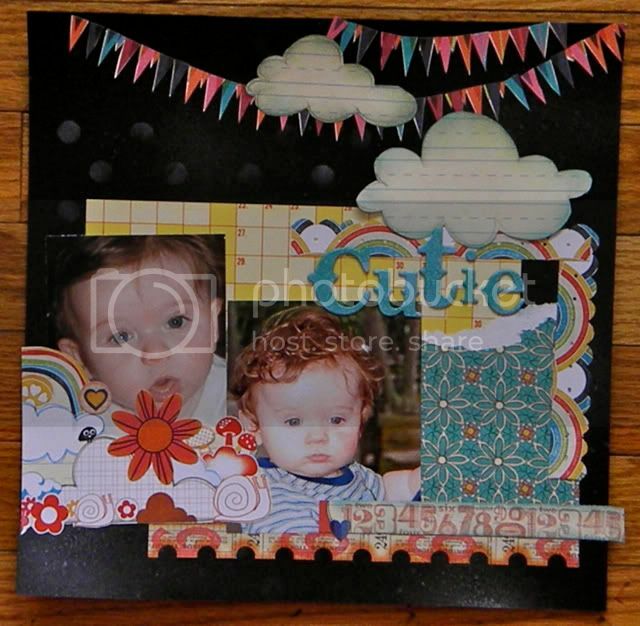 I am using some older Bella Blvd paper I found at the back of their catalog. Half the line was sold out, but the bright colors and subtle patterns just spoke to me. Shown here is the feminine version. To make it masculine, class goers will simple swap the blue and pink for the more dominant color. Pretty fun, right? I'm so glad you're aware of the challenge of scrapping for boys! It's nice to see your ideas, and also to see manufacturers making more papers which can be used for boys--or that are gender neutral. Sometimes I want to do a color other than pink for my daughter, too!